Provides face and body painting, henna tattoos, Jagua tattoos, window splash painting, mural painting and personalized crafts. Kids love getting their faces painted! It transforms them into their favorite animal or character! When you book French Vanella, Melissa French, owner and artist will arrive approx 30 minutes prior to event to set up. I can either dress in costume (clown, tiger, princess, or more!) or in my professional black uniform with logo. 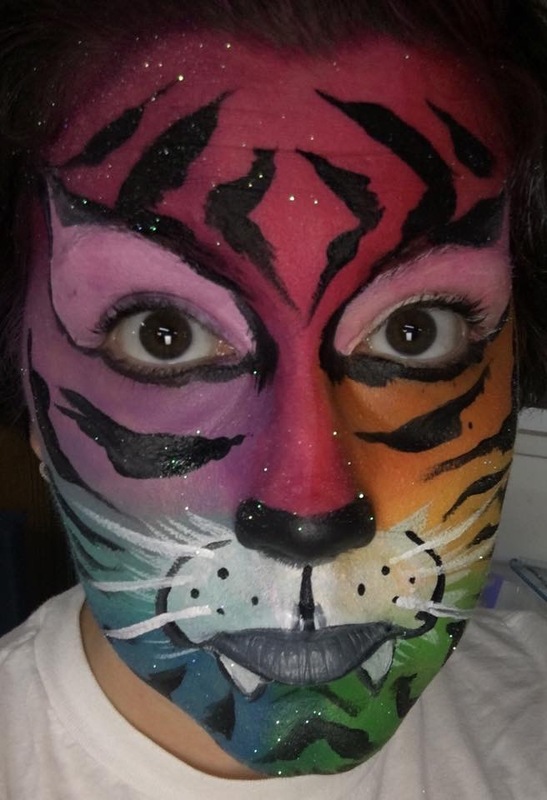 We offer face painting, body painting, maternity belly painting, makeup services, airbrush tattoos, temporary ink tattoos, glitter tattoos, and fair hair. I will work with you ahead of time to make the event super special for you and your attendees. Once the party has come to a close, it takes approximately 15-30 minutes to break down and clean my area. I can use a drop cloth if needed to help with clean up of glitter. I will not be responsible for cleaning of the floor/walls or damage from glitter or paint has spatter. However, I will do my best to keep a clean and tidy workspace. If you are booked for a specific time and it just isn't long enough for the kids in attendance to get their fill, I can arrange additional time to paint more guests at an additional fee if my schedule allows. Otherwise, painting will stop at specified ending time. 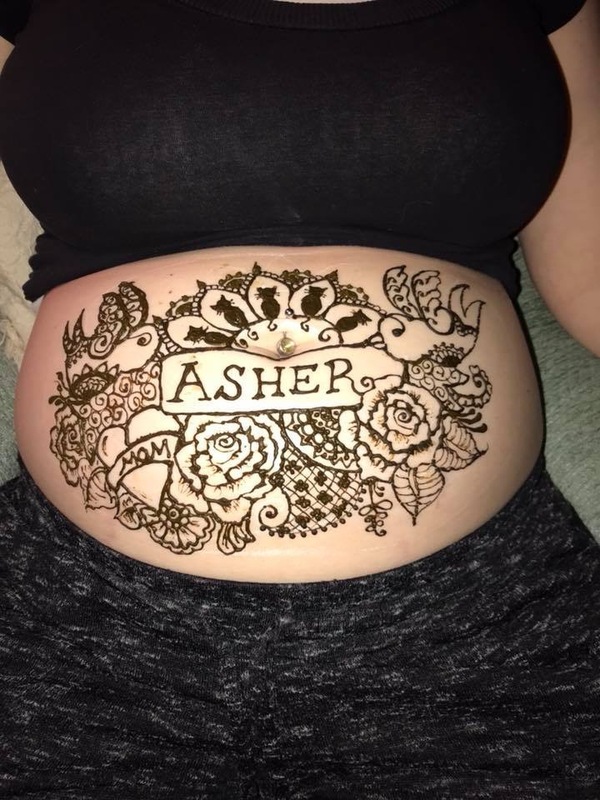 Local artist offering face painting, body painting, henna tattoos, maternity belly art, window splash painting, mural painting, and more! In order to give each face design the attention it deserves, I paint approximately 8-15 faces per hour depending on the design. Please schedule your event accordingly. Price is $100.00 per hour. I require a $25 non-refundable retainer with signed agreement to hold the date. The balance is due the day of the event. 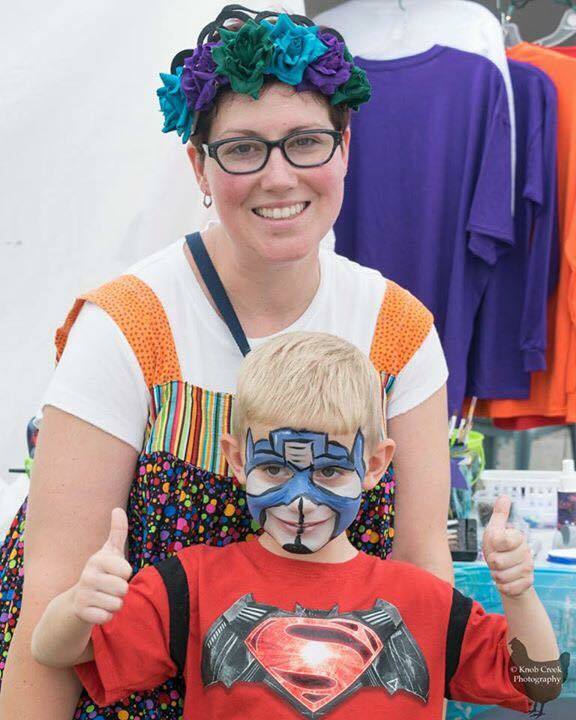 If extra face painting time is requested at the event, and I am available, I will stay after the contracted time at the same rate. This contract between French Vanella Face and Body Art and client shall not become effective until it is signed and the initial amount due has been paid. At the time the contract takes effect, French Vanella Face and Body Art shall reserve the date and time agreed upon, and not make any other reservations or accept any other clients for said date and time. For this reason, in the event that client cancels the contract for any reason, within 2 weeks prior to the event, all monies paid shall be retained by French Vanella Face and Body Art in order to offset its loss of business. If the artist would have to cancel due to illness, the retainer would be returned and would attempt to reschedule if possible. Adverse Working Conditions: The Artist of French Vanella Face and Body Art has the right to cease entertainment and leave without refunding any monies if there are extreme adverse working conditions and the Client fails to remedy the situation after it has been brought to the Client’s attention. Adverse conditions included but not limited to: destructive, violent, or inappropriate behavior of a child or adult; illegal activities; dangerous conditions. Set Up: Client agrees to provide an area with sufficient lighting and protection from extreme temperatures, sun, rain, snow and excessive wind. I will not set up too near a sound system (need to be able to hear the guests) or a bounce house or other inflatable (for safety reasons). In the event of wind or rain I must be provided with adequate shelter or the event will be cancelled. Parking – Where possible, the client is responsible for providing the artist with a parking space close to the event location, as the artist may have supplies to transport. The client is responsible for providing the artist with a parking pass, if required, for the length of the event, along with any relevant access information required. Media – Artist may take photos of face painting designs, glitter tattoos, airbrush tattoos, etc. French Vanella Face and Body Art retains the right to use these images for promotional purposes on the company website and social media pages. If you do not wish for photographs to be taken, please inform French Vanella Face and Body Art in writing prior to your event. Location directions – The client must provide the address, and any appropriate directions prior to the event. If your event is not available on Google maps, or Sat Nav equipment, please let us know so that we can find you! Change of location after set up – if the client requests a change in location once the artist has set up, the time required to re-locate is counted as part of the contracted time. French Vanella Face and Body Art are not responsible for childcare and will not supervise children. Their behavior and safety is the Client's and/or Parents' responsability. Melissa French of French Vanella Face and Body Art, uses professional quality face paints and cosmetic grade glitter for the skin and adhere to the strictest sanitation and hygiene procedures. 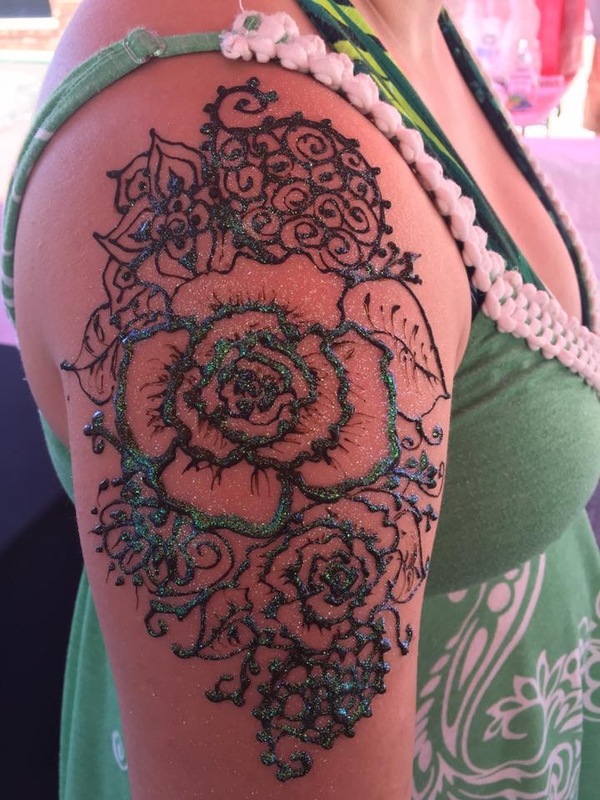 Melissa French of French Vanella Face and Body Art is not liable for allergic reactions to paints, body glue, glitters, inks, or stencils used during the event. Children with skin allergies or sensitive skin should either not participate, or have a patch test done at the beginning of the event. For safety reasons, I will not paint children under 3 years old. For sanitary reasons, I will not paint anyone who is or appears to be sick or suffering from: cold sores, pink eye, infectious skin condition, eczema, open wounds or lice. I will use reasonable care, but I am not responsible for damage to clothing or property. The Client agrees to pay for any accidents or injuries caused by pets or guests, and/or any damage to my equipment or supplies caused by pets or guests. It is the clients responsibility to let guests know ahead of time (in the invitations is a good idea) that there will be a face and body artist at your event. 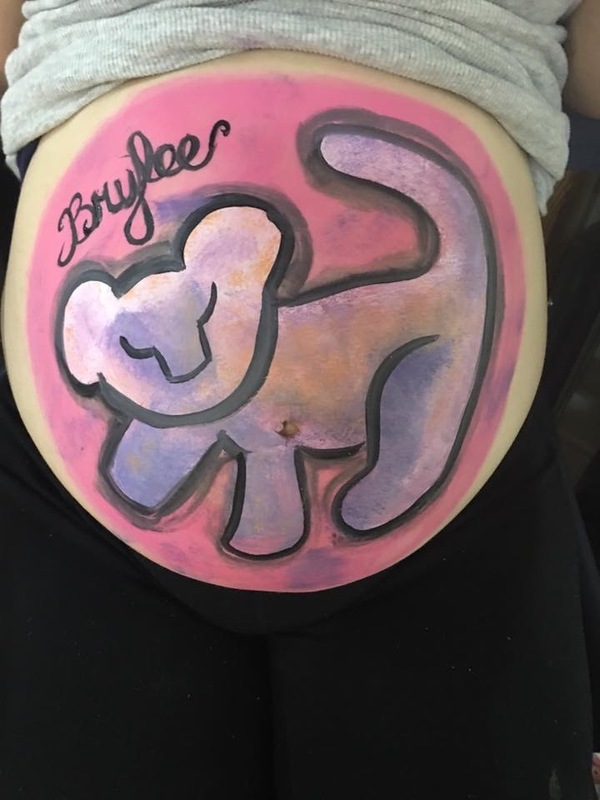 If anyone prefers that their child not have face or body art done (due to allergies or any other reason) please advise me prior to start of the event. I will be contacting you 2 to 3 days prior to your event to confirm all details. In the mean time, please feel free to contact me. I require a minimum of an 8' square space to set up. I require sufficient lighting to see the client's faces well enough to paint. I require sufficient shelter from the elements such as heat, wind, and rain. If the event is outside I require some sort of covering tent or canopy. If wanting airbrush tattoos I require access within 8 feet of an outlet.